Prescribed burns are a necessary component of successful land restoration plans, and key in restoring longleaf pine and wiregrass ecosystems. From lower Virginia to Louisiana and down into Central Florida, this ecosystem adapted over millions of years to cyclical fire events, generally occurring every three to seven years. As the Native people and settlers learned to benefit from this natural process, so too can we learn to control fire for its ecological benefits. Prescribed fire mimics lightning fires, but under conditions that safeguard human health and safety. These low-intensity fires help maintain the rich ground flora and park-like appearance of a healthy longleaf pine and wiregrass ecosystem. Within 6 months to 2 years following a prescribed burn, vigorous regrowth quickly provides high-quality browse for wildlife, while unburned patches provide cover for wildlife. Two to three years following a burn, shrubs begin to shade out herbaceous species. If too much time elapses between fires (20 years or more) dense hardwood brush begins to rob the lower plants of sunlight, while plant and animal diversity becomes drastically reduced. It also creates an excess accumulation of fuel for unplanned wild fires which are both destructive and cause human safety concerns. For more information on the importance of prescribed fires visit FreshFromFlorida.com. An eleven-acre tract on the northwest corner of the Preserve, is encircled by our Red Trail. This area was formerly dominated by planted sand pines. Over the last three years, this area has been undergoing extensive efforts to restore it back to the sandhill plant community, which existed in this area before the site was cleared for citrus. The process began with the harvesting of the sand pines and later re-planted with native plant species found in a sandhill community. The sand pines normally occur in a native scrub community and have little habitat value. Ecologic restoration is very valuable in replacing habitat for a number of species that have been greatly reduced when natural areas were cleared for development or agriculture. Keystone species in the sandhill community include the threatened gopher tortoise, endangered Indigo snake, bobwhite quail, and many other different species of birds, and insects. 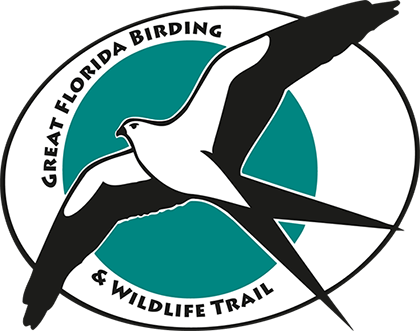 The grant used to acquire much of the land in the Preserve requires restoration and the environmental education programs presented here focus on the restoration of damaged uplands, wetlands, and Lake Apopka. Long-term restoration plans for this upland area include future controlled burns, essential for maintaining balanced plant communities. ONP ran a prescribed fire in July 2017, on approximately one acre of sandhill habitat behind the Education Center. This was later in the year than originally planned, due to the burn restriction in the area put in effect by Orange County for the earlier part of 2017. This restored habitat was in its third growth year and was a perfect time to burn it. The fire did not burn the whole area (due to the high moisture content), and ended with a mosaic pattern which is best (allowing insects and other animals to remain in the area with some habitat and food). The prescribed burn was textbook perfect, a nice low burning fire with cooperating winds, and it ran through the area in less than two hours. It was conducted very successfully, with no problems, complaints, or adverse smoke impact. The burn uncovered nine small gopher tortoise burrows in the area, and with vibrant regrowth within weeks following the burn. We have documented lots of gopher tortoise activities and even new burrows in the area since the burn.